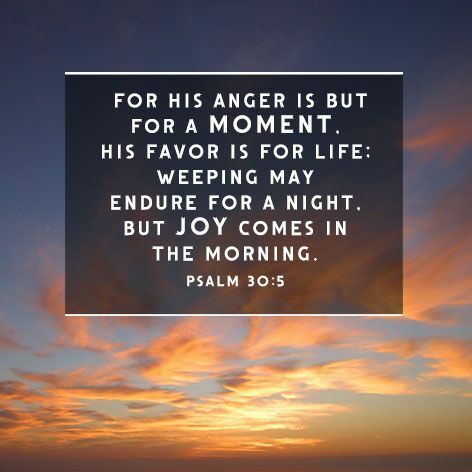 No matter what happens in our lives, we know that our joy is coming in the morning. You may cry at night, you may not get much sleep, you may feel tired and weak but hold on because joy is coming! Press on and look forward to morning joy because it is sure to come.